Visual effects add power and dynamism to 3D computer graphics (3DCG) movies. The effects enable 3DCG creators to produce unique and attractive works, but when it comes to the creation of contents for TV animation, commercials, etc, tight deadlines and the need for skilled people with CG software expertise makes the use of visual effects difficult. In the course of our work developing software for console games, we produced a large amount of real-time effects. Based on this knowledge and experience, we research ways to quickly and efficiently produce effects without any loss of quality. We have now completed a prototype which implements our real-time effects algorithm and which is used as a 3ds Max plug-in. It makes it possible for anyone to easily create effects by simply adjusting preset parameters. 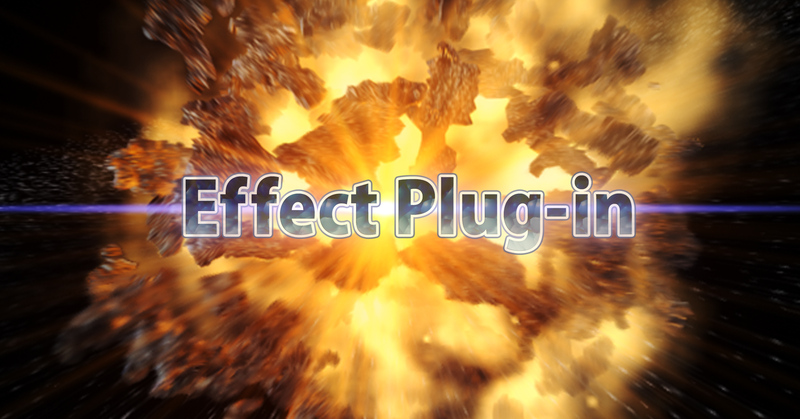 TheEffect Plug-in(provisional title) works seamlessly as a part of 3ds Max. The user positions a premade effect object on the screen and then simply adjusts a variety of parameter items to obtain the desired result. A MPEG format compatible player (i.e. Windows Media Player, QuickTime, etc.) is required to see the animation samples. Electrical Discharge 1: Discharge emanating from the center. Usage example: Violent electrical discharge. Electrical Discharge 2: Target wrapped in electricity. Usage example: Discharge coiling around an object before it explodes. Smoke 1: Smoke boiling up from a specified point. Usage example: Smoke emanating from a volcano. Smoke 2: Moving smoke source. Usage example: Smoke emanating from a missile or other flying object. Copyright(C)2005-2006 P SOFTHOUSE Co.,ltd.All rights reserved.